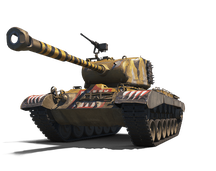 The shop's choices of the week include the T-54 First Prototype, IS-3A, and the M46 Patton KR. All of them have excellent radios, so team up with some SPGs and have fun in battle! Also, this is a good time to chalk up lots of EXP! Ultimate packages contain Tokens that give you x5 the EXP when you win a battle in random battles. 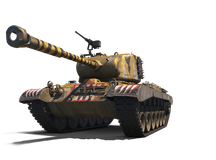 Players can only use 15 Tokens from the IS-3A - Ultimate Equinox package, and 15 Tokens from the M46 Patton KR - Ultimate Equinox package per account. Have a look at the deals below. The Т-54 First Prototype is a Premium Tier VIII Soviet medium tank. It looks like the T-44 but has a number of key differences. This Premium vehicle has improved armor: the hull and the turret have a good chance of deflecting incoming shots, especially when the tank is actively maneuvering. The enhanced armor and low-power engine result in a less agile vehicle, a difference which is most noticeable during initial acceleration. Nevertheless, the vehicle's speed is sufficient to perform the standard roles of a medium tank. The prototype has a rapid-firing gun that shows no prominent advantages or disadvantages. 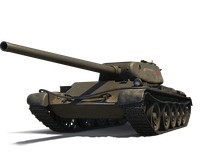 Like other Tier VIII vehicles, the T-54 First Prototype has high profitability and the possibility to transfer crews from other Soviet medium tanks without any penalties. 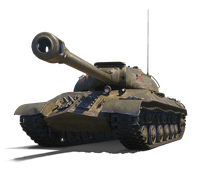 The IS-3A is a Tier 8 vehicle from the USSR tech tree. This awesome vehicle only existed in theory. Students from the BTV military academy created a diploma thesis on installing an automatic loader in the IS-3 and T-10. In World of Tanks, the IS-3A is able to load slightly faster without the loader crew. However, the autoloader does not have a clip. Pattons were developed in the USA after the end of World War 2. The M46 Patton KR is a Tier 8 American medium tank. It sports a special camouflage used in the Korean War. This vehicle serves well as a passive scout with its good view range. It works best to locate the last remaining vehicles of enemy teams.